If I were to actually write out the full name of this game, and I will, it would be a really long title. That being said, I’m going to do it once and from there on call it something that requires less of a marathon of typing to convey. So, we’re about to delve deep into the world of Dynasty Warriors 8: Xtreme Legends Complete Edition . Yeah, that puts Peter Jackson’s King Kong: The Official Game of the Movie to shame as one of the longest titles that has graced the cover of a video game box. Dynasty Warriors (this is our new abbreviation going forward by the way) is one of those series that has been around for several generations of consoles and therefore has made a name for itself. However, unlike Final Fantasy, which is encroaching on its fourteenth iteration, sequels not included, you can’t go around talking about Dynasty Warriors and expect everyone to know what you’re talking about. That being said, the two series do have something in common. Both of them have fallen off the bandwagon in past releases and seem to have become complacent. Dynasty Warriors 3 was one of my favorites in the series. Every one after that was less amazing. Dynasty Warriors 8 originally came out about a year ago on the PS3, and I was genuinely pleased when I played it. It felt fresh, different, and more than just another case of Madden in ancient China. The joke there being of course that the games started to feel like Madden, which is to say the same but with different players. 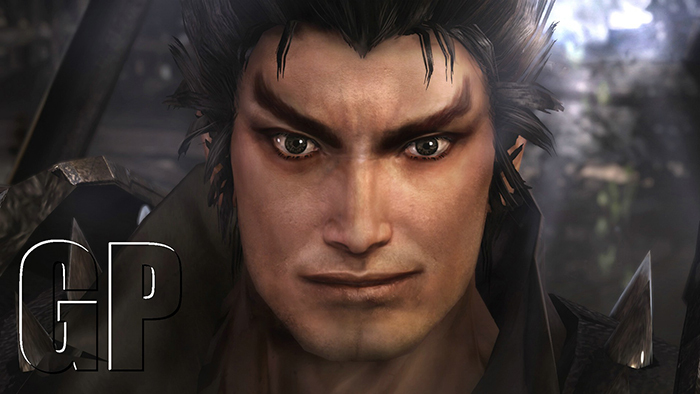 So, now we have Dynasty Warriors 8, super special ultimate edition: Unleashed for the PS4. Time to chop this one up like so many enemies in the game and see what the new version is bringing us. Dynasty Warriors has always taken real events from ancient Chinese history and kind of blown them up a bit. I mean, if you’ve played any of the games, you start to wonder if this one guy actually killed five hundred plus people in a single battle, most of which with a single swing of his sword. I mean, it’s possible, but then you have to consider that he did it with some kind of earthquake fire move that ended with bolts of lightning emanating from his body. If only history were this interesting. So, Dynasty Warriors tends to dress up the past with some over the top flavors that make it larger than life. It’s worked this long, and I’m okay with. As always, this kind of approach requires a specific taste from the gamer. Long time fans of Dynasty Warriors have come to accept this as a part of the series and while the game isn’t relying entirely on its storyline, it does help to know why you’re fighting. 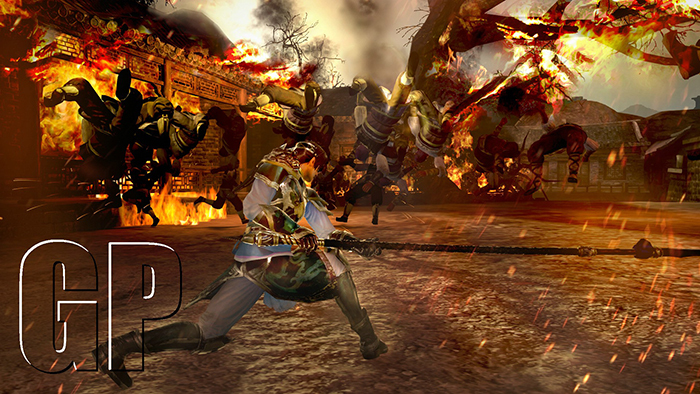 Dynasty Warriors 8: Fu Man Chu Edition brings a more intricate storyline for each of it’s clans. On top of this, the infamous Lu Bu has his own story campaign that finally lets us get our hands on him, and find out exactly why he wants to kill everything in sight (SPOILER ALERT: Someone stole his teddy bear). 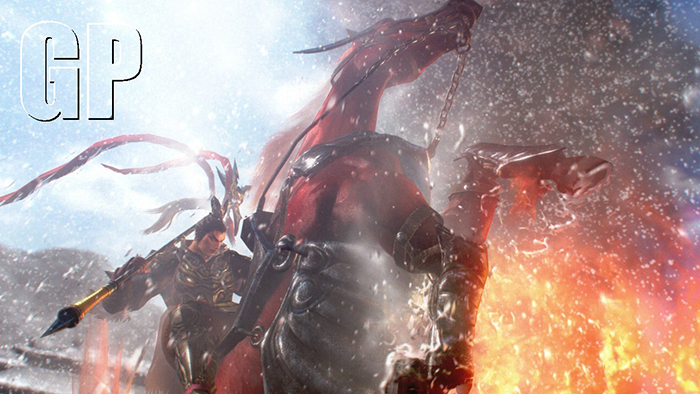 Playing as Lu Bu is as satisfying as you might expect and riding his horse that suspiciously resembles the red horse that you would expect one of the Four Horseman to be riding (Ah, I get it!) is also epic. This time around they added fully animated cutscenes that feature some cool action and lead directly into the gameplay. While the cut scenes aren’t stellar quality, it does add another layer to the story instead of just the silent slideshows we get between battles. This iteration of the game also introduces “What If” scenarios where you can change the course of history by completing or failing certain objectives. This allows you to see what would happen if things had gone differently. Once you’ve finished a campaign, you’ll be able to see the possible outcomes as well which allows you to play through it again. 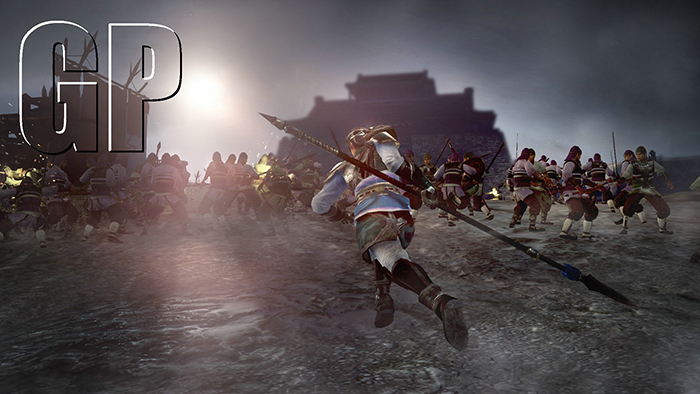 You’ll be able to play through as each one of the clans you remember, along with the aforementioned Lu Bu campaign. Again, the stories here are better, with higher production values and added scenarios for branching paths. Beyond that, it’s about what you would expect. Dynasty Warriors: Ninja Blender Edition is very similar to the blender I mentioned in my joke version of the game’s name. You see, that blender requires you to press only one button and it chops everything inside. Dynasty Warriors is kind of like that, only it requires three buttons, sometimes four. That being said, this is one of the most simple and primal methods of cutting through your enemies. 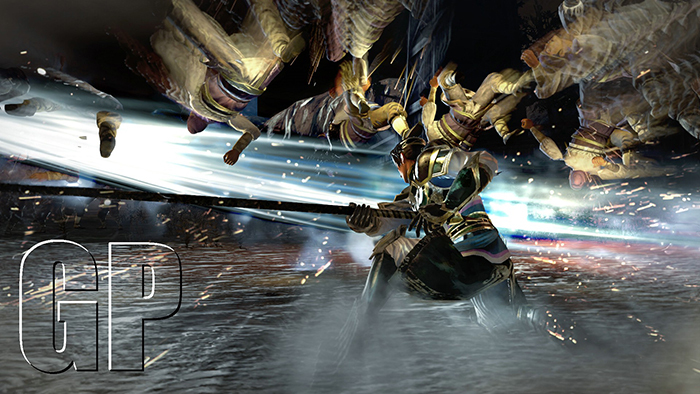 In past games, the combat has been about as simple as it gets, but with Dynasty Warriors 8, they added some new elements to keep the fighting fresh. Like anything else though, it does get stale after a while. The combat here is as flashy as ever though, and the addition of new abilities called EX attacks are very fun to use. Each officer has their own unique versions of these attacks and with over seventy characters to choose from, this is a huge jump for the series in terms of differentiating the different playable characters. Also, characters can gain new abilities, level them up, and equip different weapons that you find on the battlefield. There is also an elemental system that divides between Earth, Heaven, and Man, which mixes up how you approach different enemies. You can bring two weapons at a time with you into battle and switch between them in mid-combo if you like. This all may sound daunting, but there are in depth tutorials to show you all the new nuances of combat that this new version has to offer. Beyond just the story mode, there is also inclusion of Ambition Mode, Challenge Mode, and Free Play. It is worth noting that each mode in the game can also be played two player split screen, which is a fantastic addition. Ambition Mode allows you to manage your own camp, fight in strategic battles and grow your armies. It’s almost like a Dynasty Warriors: Empires was squeezed in. Free Play allows you to mix and match characters and battles with no regard for actual history, and Challenge Mode allows you to fight for top positions on online leaderboards. This game is feature heavy, and the improved combat is a major boost for the series. It’s still going to feel repetitive, doubly so for people who aren’t fans of the series, but even with its inherent flaws Dynasty Warriors 8 still is a fun game with a lot of options. My biggest disappointment with Dynasty Warriors 8: Greased up Sudo Edition is that it doesn’t look like much of an upgrade from the original release on PS3. Granted, I didn’t expect an overhaul since this was a port of an older version, but I can barely notice an increase in graphics. Still, the PS4 version does have a good frame rate and supports hundreds of enemies on screen at once. Textures and character models are sharp, but you can spot plenty of blurry spots and glossed over areas while you’re fighting. And of course, most of the enemies look identical. Graphics aren’t everything, but I would have liked to see the PS4 sweat a little more while playing this. All of the over the top action would have benefited from some crazy particle effects and crisp textures. Perhaps the next iteration of the series will be worked from the ground up on PS4 and then we can see how it truly transitions to the next generation. Dynasty Warriors 8 Xtreme Legends: Complete Edition (there I said it twice) is a huge step forward for a series that has been stagnating for the past few releases. The combat is more intricate, the story mode is improved, and the feature list is very impressive. At the end of the day though, if you’re not a fan of the series, this one isn’t going to win you over. It still suffers from repetition as the combat doesn’t stray too far from killing someone or running somewhere. If the game a little more varied in its objectives, this could be helped, but then it wouldn’t really be Dynasty Warriors anymore. Overall, if you’re a fan I would pick this up just like I did. It’s an improvement to be sure, but don’t expect them to reinvent the wheel. What did you think of this latest release? Have you ever seen a title that long before? And most important of all, who is your favorite character? Tell us in the Comments! It's a fantastic game and the character I like is Zhoa Yun.